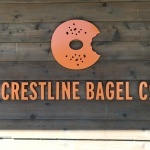 Crestline Bagel Company has been serving the Birmingham-area with New-York style bagels for 11 years. 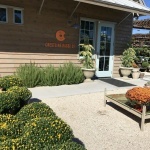 In February 2018, Jennifer Yarbrough, founder and owner of Crestline Bagel Co. opened a second store location in Cahaba Heights. 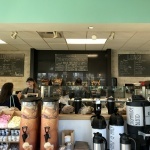 The bagels and service at the new location are wonderful as always, but the unique space is what sets this bakery apart from others of its kind. Here are 10 reasons why you need to make Crestline Bagel Co. Cahaba Heights. your next study spot. Spacious: This location has several seats and tables. The seating area is arranged to accommodate plenty of space between you and the person(s) next to you. Variety of options: Not a fan of bagels or coffee? That’s ok! 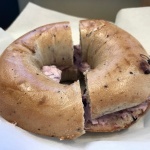 There is something for everyone at Crestline Bagel Co. See their menu here. WIFI: Ask any of the staff for the WIFI password. I won’t give it away, but if passwords can be cute, this one definitely is. 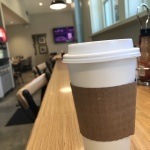 Unlimited Coffee Refills: I love a good coffee shop, but when I’m studying for a couple of hours, one little vanilla latte just isn’t going to cut it. I prefer multiple cups of coffee that I can sip on throughout my entire study session. At Crestline Bagel Co. if your cup is empty, just get up and refill it! Great scenery: In my humble opinion, one of the best features of the Cahaba Heights location is the scenery. Leaf ‘n’ Petal flower shop is right next door. Enjoy the sights of beautiful plants, flowers and butterflies from any seat. Clean: Every time I have been to Crestline Bagel Co. (which happens at least once a week), the place is spotless! 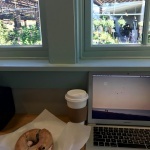 Quiet: Don’t get me wrong– Crestline Bagel Co. is a great place to go for socializing with a friend. But it’s a peaceful atmosphere with a comfortable buzz of talking. Nothing too noisy or distracting. Sun light: Big windows inside the bakery allow for the refreshing natural light to fill up the entire space. I always prefer natural light over fluorescent light in a study space. Opens early in the morning: The bakers have to show up before sunrise to start bagel-production. But for customers, the doors open at 6:00 a.m. Monday through Friday, and 7:00 a.m. on weekends. You can get in an hour or two of study time before class even starts!